11-on-11 scrimmaging was progressing as it usually does for USC at their 15th and final spring practice. But then, an altercation broke out between Michael Pittman, Briton Allen, Austin Jackson and other Trojans. 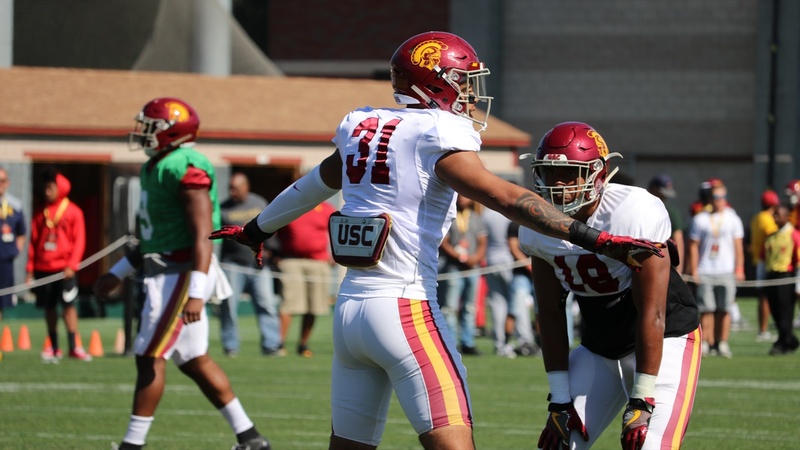 After players cleared, Clay Helton stopped practice and had the entire team complete a series of up downs. Helton went on to address the team midfield and scold them for losing control of their emotions. Post-practice, Helton put everything into context. “That was probably the best learning lesson that we could possibly have in camp because we just played all day,” he said.